The tour begins in one of Rome's most enchanting and artistic squares: Piazza Navona, created along the century within the remains of the ancient stadium built by emperor Domitian in 1st century AD. We’ll admire the work of the two great baroque geniuses, Bernini and Borromini, looking at the "Fountain of Four Rivers" and at the church of Saint Agnes, both supreme masterpieces of baroque art. Crossing the main avenue Corso Vittorio we’ll reach Campo dei Fiori, an alive and picturesque square, where the sculpture of the monk Giordano Bruno, burned by the inquisition in the 17th century stands out. 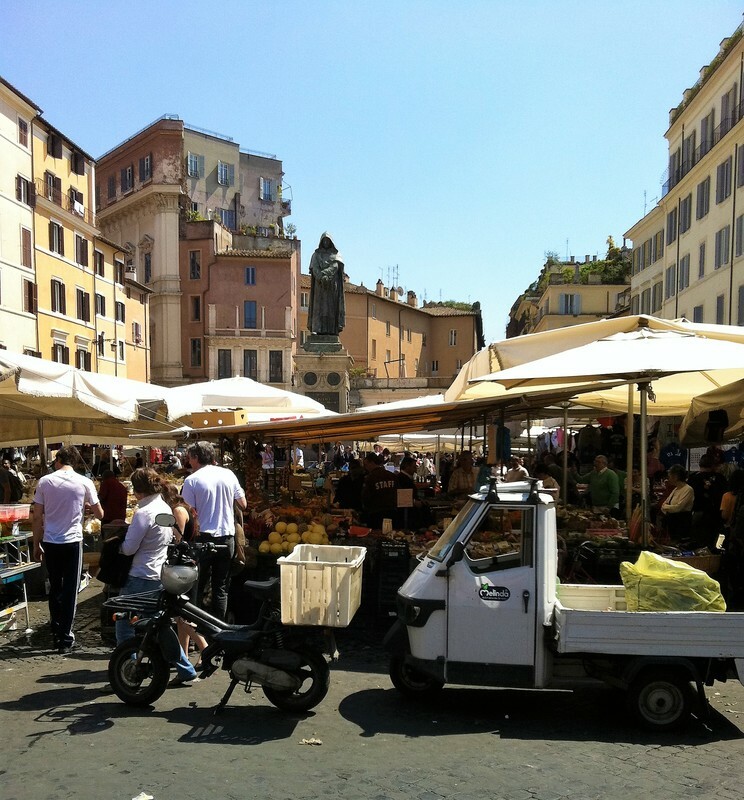 Here is held an open air market In the morning and the square is certainly one of the natural meeting places where to enjoy the Roman nightlife. Strolling along the narrow alleys we’ll reach Largo Argentina, where we’ll see the remains of 4 ancient republican temples located by the site where Julius Caesar was assassinated on the Ides of March of 44 BC. 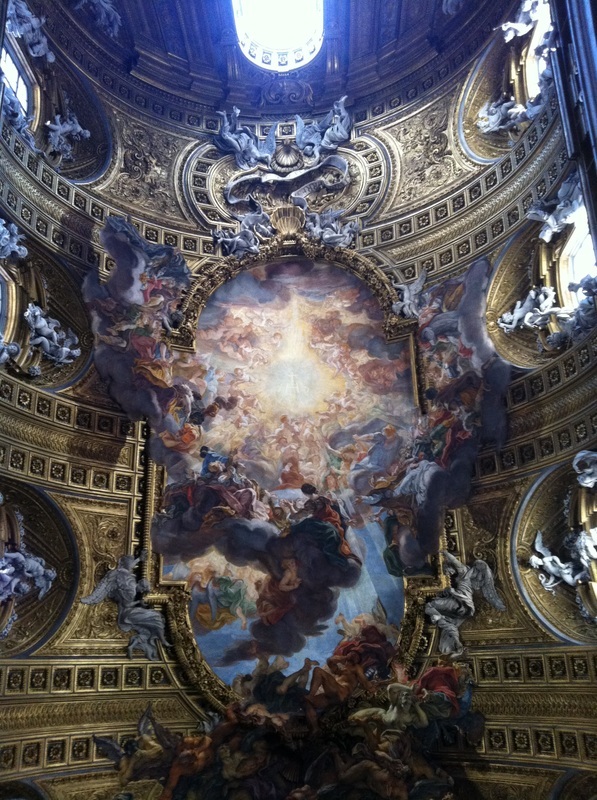 Next steps will be the churches of Gesù and the one of Sant’Ignazio, both with spectacular baroque paintings.